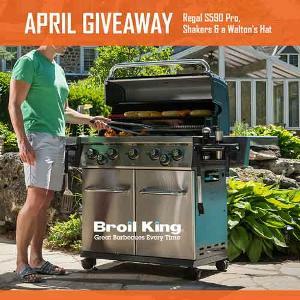 Prize: Win a Broil King Regal S590 PRO Gas Grill ($1350+!) Includes a Walton's Hat and a collection of Austin and Jon's favorite seasoning shakers! Statistics: This contest was opened by 42 and entered by 6 ContestChest.com members. 14% of those who opened the contest, entered it.